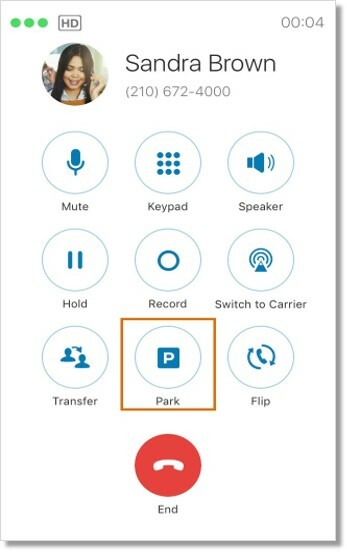 This article provides information on how parked calls can be retrieved on the AT&T Office@Hand Mobile App. 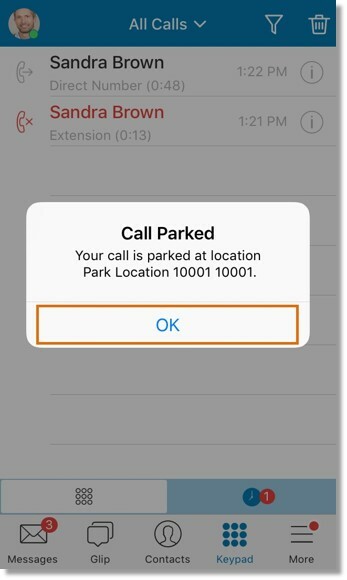 You can also park a call on your iOS or Android device using the mobile app. IMPORTANT: You will no longer be able to retrieve the call using the same phone once the call is parked. If you only need to place the call on hold and get back to the caller, press Hold. You only use Call Park if you want another User to pick up the call on hold. Tap Park on your active call screen. 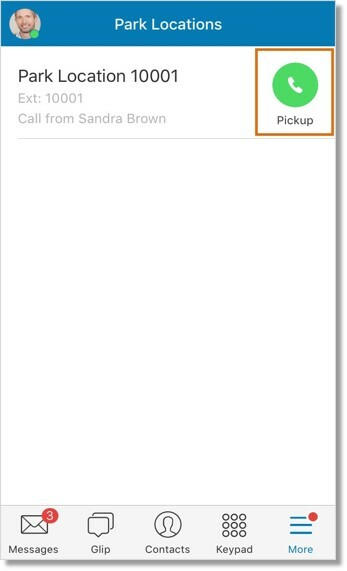 Tap the location where you want to retrieve your parked call later on. In this example, we will park the current call to Park Location 10001 extension. You will see a notification on your screen, tap OK.
Retrieve your parked call from a desk phone or from your AT&T Office@Hand Desktop app. 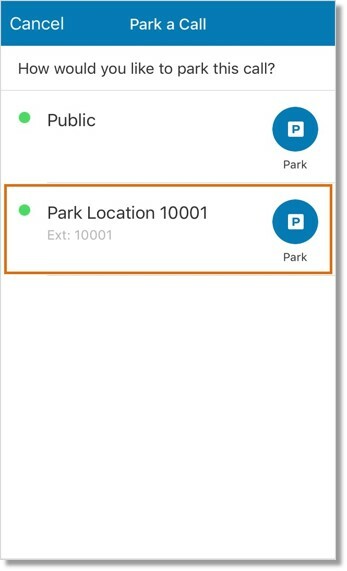 Access Park Locations on your AT&T Office@Hand Mobile app.